Getting From Bangkok to Chiang Mai. What Are My Options? Let’s weigh up our options on how we will get from Bangkok to Chiang Mai. If you are on a two-week vacation and find yourself stuck for time, take the plane. It will take you approx 1Hr and 10 minutes. If you are wise, flexible and use a company like Skyscanner you should be able to pick up a bargain. We are not wise and like to leave everything until the last minute therefor this wasn’t an option for us. Plus, I like to put myself and the kid’s through pain. It keeps them on their toes. If you are on a budget then take the bus. It will cost you approx $15, and take 11 hours. We had a bad a couple of bad experiences in India with sleeper buses so there was no way I was risking it again in Thailand. I have also heard too many stories about theft on the sleeper buses to Chiang Mai. I’ll be honest with you, we don’t tend to listen to hearsay. 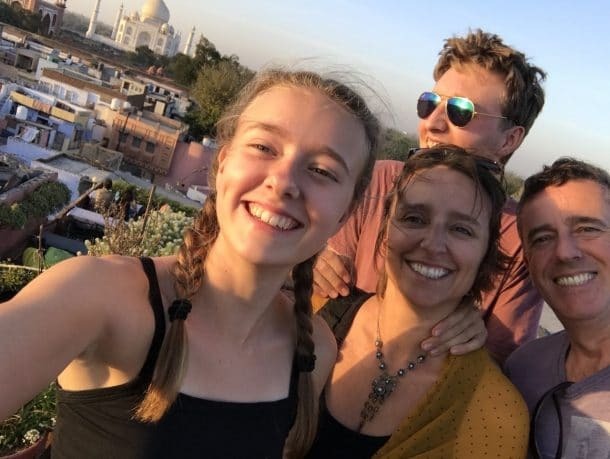 We have learned over our travels that a lot of travel tips that you hear are utter rubbish, we had just bought a new drone and I wasn’t going to risk it. If you do choose to take the bus click here for prices. Tada! 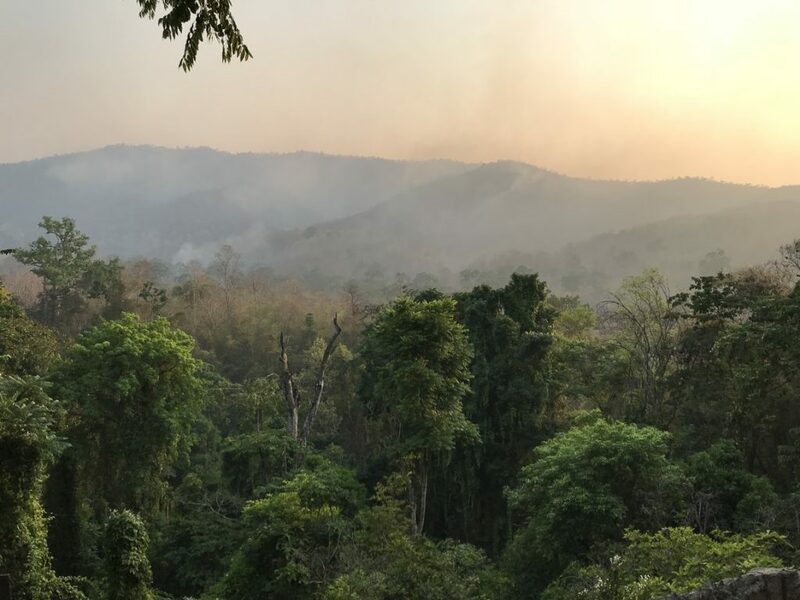 If you are the adventurous sort and don’t mind spending $28 and approximately 11 hours travelling, then take the overnight train from Bangkok to Chiang Mai. But first, read this post. So you’ll be prepared. There are too many travel blogs out there telling you that taking the train from Bangkok to Chiang Mai is nothing but rosy and fun. Now, I don’t want to be a doom and gloomer. There is no denying that it’s a wonderful experience to travel overnight by train, but; I just think you need to know some facts. Click here to book online tickets with 12GoAsia. They are the only company we use when we are travelling by bus, plane or train in Asia. 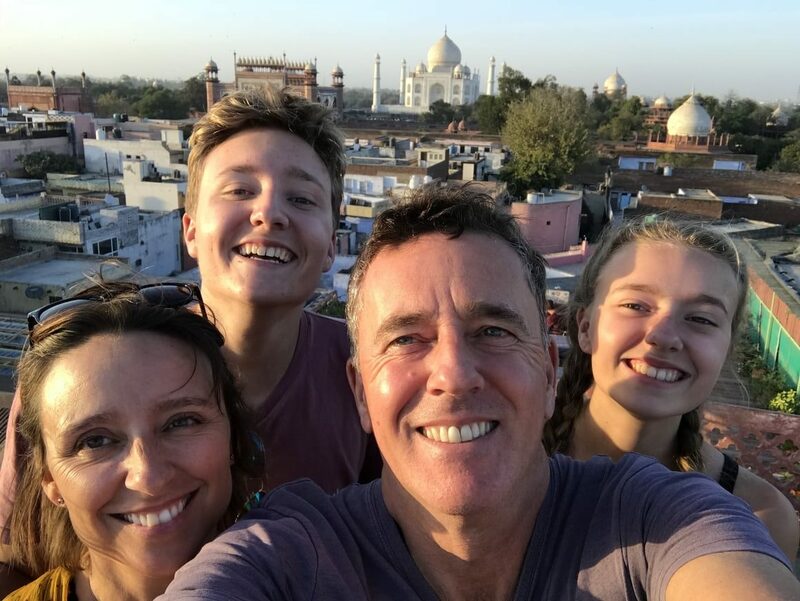 We are a family of four backing around the world for a year. 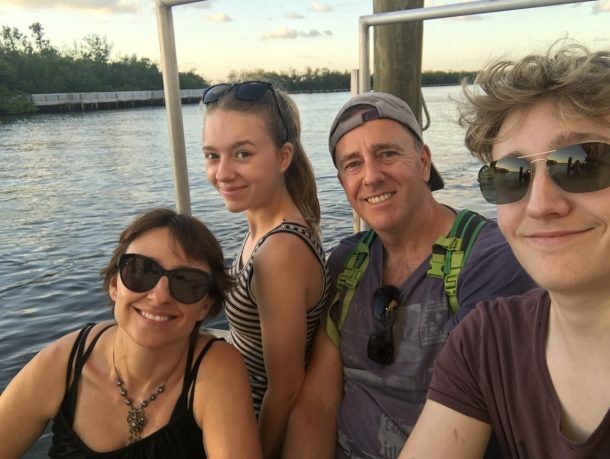 My kids are 14 and 17 and we have been to Thailand twice on this trip. We have taken the night train from Bangkok to Chiang Mai and back again 4 times. And I have to say I’m a little bit miffed. 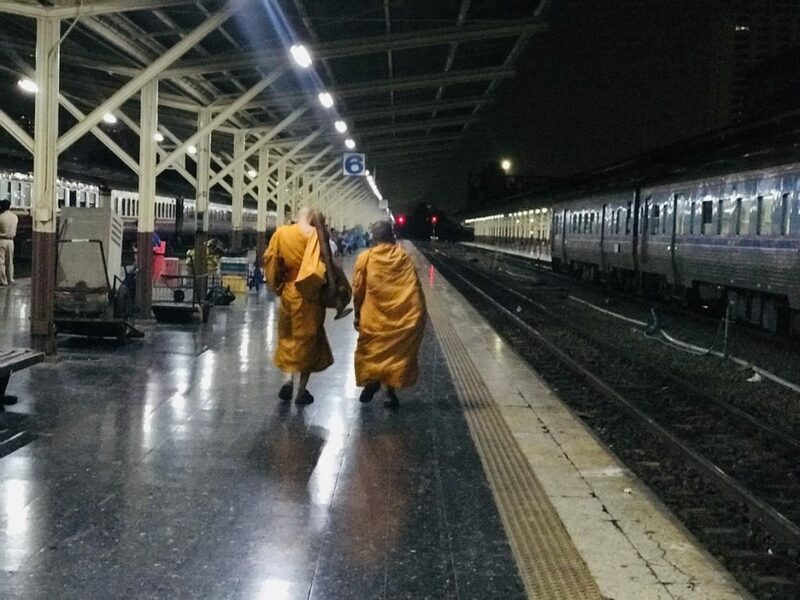 I searched high and low for a travel blog to tell me the exact, honest details on travelling from Bangkok to Chiang Mai on the overnight train, and still, I only found the glorified look-at-the-lovely-scenery-versions. So I had to go and find out for myself. And here’s what surprised me. 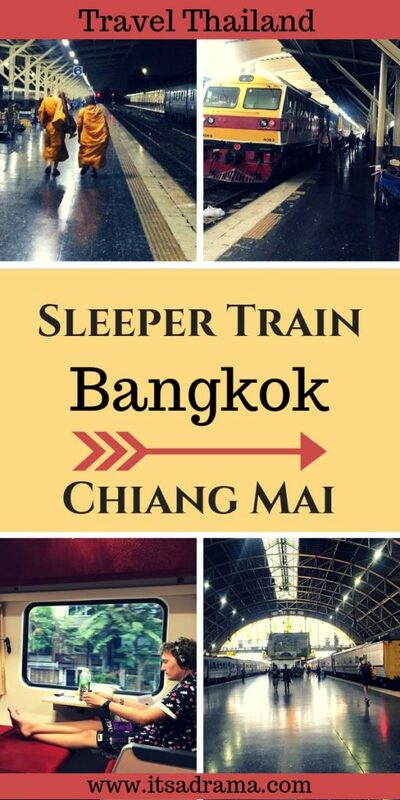 Taking The Overnight Train From Bangkok To Chiang Mai. 7 Things You Need To Know. First things first. You probably won’t sleep. I’ll get to why later in the post. Alcohol is banned on the train. And the staff are strict to enforce it. We smuggled rum into a couple of bottles of coke and we were asked three times if we were drinking alcohol. I am a 47-year-old woman travelling with two kids. Hardly a party animal. Just know that they will have their eye on you. You will need earplugs. The train is quite noisy. I’m not talking rowdy noisy, just noise from the tracks. Don’t do what we did and book the bunks next to the whooshing door. Book in the middle of the train if possible. It’s either very hot or very cold. We have been both. Be prepared with an extra jumper or a warm sleeping bag. Bring your own food and snacks. The prices on the train are extortionate and the food looked bland, to say the least. There is a seven eleven outside both Bangkok and Chiang Mai station. Stock up. The beds are made up (very efficiently may I add) at an early time. We boarded at 6.30pm and within an hour it was bedtime. Know that if you are travelling alone and you are on the top bunk you will be off to bed nice and early so bring a good book. Because of the air conditioning, it is very dry. The staff very kindly give you a bottle of water when you board but still, it is small and is gone in two gulps. Bring some water. Why You Probably Won’t Sleep On The Sleeper Train To Chiang Mai. I hate to be the bearer of bad news but listen. Unless you have a VERY good eye mask and you manage to book the bottom bunk, then you probably aren’t going to sleep. Annoyingly every top bunk on the sleeper train is directly under the brightest light imaginable. Think of those bright white lights that they use in hospitals to operate on people and you’ll be on the right track. These lights stay on. ALL NIGHT. After the first experience of not sleeping, we each of us went out and bought the best eye mask on the market. To be prepared for our imminent journey back from Chiang Mai to Bangkok. Still. No sleep. I am not kidding, it is BRIGHT. 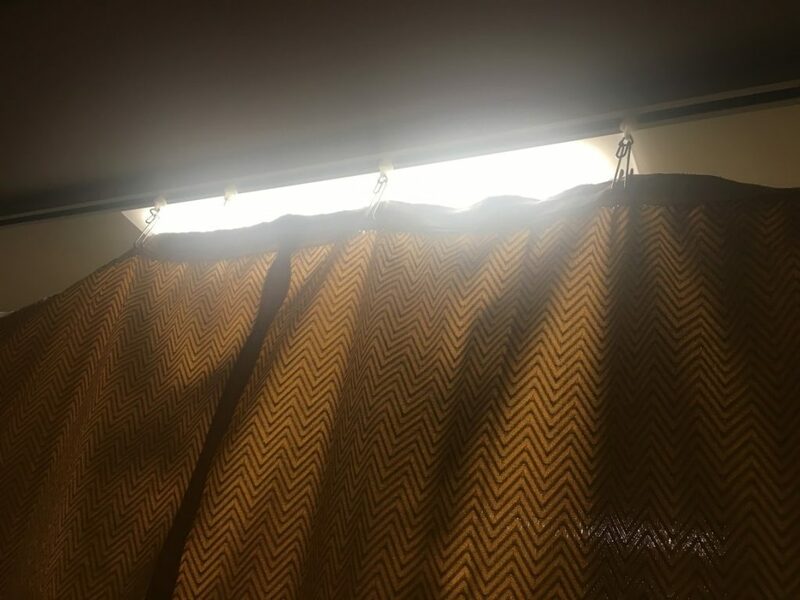 The curtain that goes along the top bunk has a three-inch gap meaning that there is no chance of blocking the light. Try sleeping with that in your face. This photo was taken at 3.55am. I was NOT happy! I’m not sure what the reasoning is for not turning the lights down, probably security. What I don’ understand is why don’t the top bunks have a blackout curtain fitted? Because I am not one to moan, I instead put my best thinking head on. Here’s what I did. We always travel with a roll of extra strong black tape. Don’t ask me why; my husband is a man. That’s all you need to know. These things will be necessary he said. I have a dark red sarong and I taped it along the top of the curtain. It made the inside of the bunk look like an opium den but it blocked some of the light which enabled me to grab an hour or so sleep. Pumping my thighs in Thailand. The Bog Diaries. 10 Blissful Essentials for the plane. Pessimistic or an optimistic traveller. Which are you? What To Do When You Arrive At Chiang Mai Station. When you get off the sleeper train in Chiang Mai you will be bombarded with offers of taxis and Songthaews (the red pick up trucks that are everywhere). If you are solo travelling then you can probably ignore this next piece of advice, just hop into the red truck with a group of other backpackers and have fun. But, if there are more than two of you then listen up. If you are like us and are travelling on a budget you will be well aware of the wonderful transport app Uber. For us taking Uber (or Grab) has saved us hundreds of dollars over the past year. Chiang Mai was no exception. 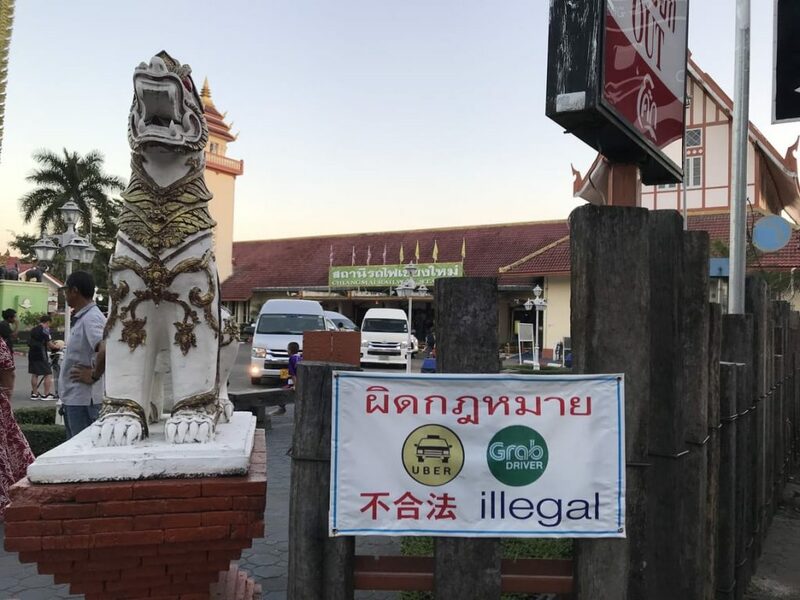 Apparently, it is illegal for Uber drivers to come into Chiang Mai station, but don’t let this put you off. Go to the seven eleven over the road (this way the taxi hagglers will leave you alone) and call an Uber or Grab from there. You will save yourself a couple of dollars and more importantly, you will be in an airconditioned car! Don’t be put off by the threatening sign. Go over the road to the seven 11 and call an Uber from there. So that’s it! I have told you (truthfully) what to be prepared for when you take the overnight train from Bangkok to Chiang Mai. As I said, yes, it is an adventure and if you are travelling with little kids then they will no doubt love it. But. For those who cherish their sleep, be prepared. Bring a dark sarong and some tape! Oh man! I am sure I slept on it, I can’t remember if I had to hide from the light lol. Overall I thought it was a pretty good experience, and would definitely have been better than the bus!! Yes…alot better than the bus! My son just returned from Chiang Mai after backpacking all over Thailand and Laos for several weeks. For the small difference in price, he took the flights instead of the train. Much less time & hassle and much more comfortable. Definitely the way to go if you are travelling on your own – trouble is when you times it by 4 it gets pricey! Or maybe it is just that I take pleasure in putting my teenagers in uncomfortable situations… Hahaha! Wow, this sounds horrendous. A bit like the sleeper trains I experienced in India. I also made the mistake of booking a bunk next to the door. Constantly having the door slamming next to me and people prodding me waking me up every five minutes. I am surprised about alcohol as well! In Vietnam, we were allowed to take. I’ve not visited Thailand yet, but glad I know this for the future. On that train did they provide two different types of toilet i.e a Western and a squat? Or just one form?